What's the difference between a 'Bed and Breakfast' (like AMBER HOUSE B&B in Nelson, New Zealand) and a full service Hotel? centre of Nelson & NZ? What's the difference between a "Bed and Breakfast" and a full service Hotel? AMBER HOUSE - at the centre!™ is a Bed and Breakfast Guest House (B&B) in Nelson city centre - handy for Tahunanui Beach, Restaurants, Founders Park and the 3 National Parks of Abel Tasman, Kahurangi and Nelson Lakes in the `Top of the South' Island of New Zealand (NZ). Text in italics below is taken from "Welcome to London Bed & Breakfast". "European destinations have become so expensive lately that hotel prices look like double the US rates. We'll get over the sticker shock by paying half those prices at our charming, selected London B&Bs." "...These properties are private residences in some of the best locations at rates much lower than you would expect!... These prices are fully inclusive of breakfast, applicable taxes and service charges." If you think you've found better value in Nelson's city centre, please let us know! "...At our B&B's you will also enjoy the social and cultural benefits of meeting charming hosts willing to share their local knowledge with you. This is what sets London B and B apart from package tours or just "somewhere to rest your head". It's like having a personal guide to the city included in the price!" Both Anne and Adam were born and raised right here in Nelson. Our Irish and Scots relatives were some of the first European settlers in Nelson and arrived on the barque Bombay on Friday, 12th December 1842. Our pacific island and Māori relatives arrived five hundred years and more before that. "...To make your stay as comfortable as possible, you should consider some of the differences between expensive full service hotels and private family homes that offer B&B in the original European style... Bed & Breakfasts are not the same as in the U.S., where B&Bs have become increasingly associated with the country inn type of accommodation, with housekeepers, staff and often with an in-house restaurant. In the U.K.these are known as country house hotels. The European B&B residences are private family homes, often older properties, sometimes several hundred years old, and consequently may have smaller rooms than you are used to at home or in modern hotels..."
Built in 1897, Amber House is pretty young by European standards but is definitely one of the older family homes in Nelson which is, itself, the oldest city in the South Island (or Mainland) of New Zealand. Although our shower rooms are small, none of our rooms are tiny, with ceilings more than eleven feet high downstairs and the Balcony Suite measures more than 44.5 square metres (or 479 square feet) in area. It is our family that will look after you (with some help at busier periods). "...Other features you should not expect are air conditioning or elevators unless they are specifically mentioned. You will find that our top-rated homes have attached "en-suite" bathrooms, however at a number of homes the private bathrooms may be adjacent to the bedrooms or a few steps away along the hall..."
All of our individually named guest bedrooms have en suite showers and wash hand basins. Our Blue, Gold, Pineapple and Rose Rooms, together with the Balcony Suite are air-conditioned with reverse cycle heat pumps. All our guest bedrooms and the guest dining room are double glazed (with argon gas filling the 16mm gap and low emissivity glass) for extra sound proofing and to reduce our carbon footprint. Our Balcony Suite, Gold, Pineapple, Blue and Green Rooms have the German style, uPVC double glazing with tilt and turn windows. We have no elevators (or "lifts" as we say in New Zealand) but the strongest family member will carry your bags upstairs if you are in the Balcony Suite, Gold or Blue Rooms. Completely NON SMOKING - Smokers can NOT stay! en suite shower & wash hand basin, High Definition LCD TV with MP3 playback from USB Yes Yes Yes Yes Yes Yes probably ? "...An obvious but often overlooked difference between hotels and staying at private family homes, is that of service; there is no desk clerk on duty to await your arrival, so it is vital that the family knows what time to expect you, as they have daily family business to attend to. The worst possible way to start your visit is to arrive unexpectedly and find no-one at home to greet you...."
Now you know why we ask you for your anticipated arrival time together with your mobile or cellular 'phone number. If we have those details, if our plans or yours suddenly change, we can then communicate. There are many areas of poor cellular reception in New Zealand but SMS or text messages can often get through where voice calls will fail - it only takes a few seconds of coverage as you crest a pass or hilltop for our text to reach you. Additionally - and unlike receiving voice calls - when travelling overseas, you will not usually be charged roaming charges for receiving a text message from us or anyone else. Please be aware, though, that you should not just hit the "reply" button as our SMS text messages are sent from a bulk service provider in Ireland. Please instead manually reply to the phone number listed in the message you receive from us! "...You will be given a key to their home and this is a courtesy that should be respected. So if you return late at night, please be considerate of other guests and the host family..."
The Nelson Tasman police district has the lowest crime rate in New Zealand, but burglaries and thefts still occur. Too frequently thieves target the larger motels and camp grounds because they can mingle unobserved and unremarked. Burglars know that windows will be left open in hot weather (because few Nelson motels have air conditioning like Amber House) and that visitors often carry high value items like video cameras and jewellery. Amber House has never had a theft or burglary and, since we don't book more than four guests into our own home at one time, all comings and goings are noted. We will charge a refundable cash deposit of $20 for each set of keys. Some folks don't like this but please consider the alternatives. Since moving to this "cash incentive to remember" we have not had one set of keys go missing when we charged this small memory incentive. On the one recent occasion that we did not charge the key deposit, the keys ended up in Wellington (entirely by coincidence?) If the keys do go missing, it is not just the room key that has gone missing but the key to our home's front door too. To replace the front door lock and room door barrels and then cut duplicate keys for the new lock barrels costs us at least $500 per shot. The alternative to levying this entirely refundable jog to your memory, would be to add $10 per night to everyone's room price. We've decided to keep our prices as low as we can instead. Our wooden front door (and the original glass still in it) is more than 120 years old so please do not slam it like a car door - if you slam it, the door just bounces out of the wooden frame and wakes everyone up! "...The rooms are regularly serviced, varying from home to home, but there is no "room service". You are staying "en famille", not at a full service hotel..."
Actually, we do offer room service. Room service is available at no extra charge to guests staying in the Balcony Suite. If you've paid the Balcony Suite tariff and wish to have your breakfast served al fresco on the East balcony so that you can see the sun rise over the Centre of New Zealand - just say the word. Balcony Suite guests can have whatever they want cooked for their breakfast and have it brought either to their door or served on one of their balconies for no additional charge. Other guests eat breakfast in the dining room but can order (for a moderate charge) other meals and snacks cooked and served at their convenience. Rather than ringing the "School Bell" [or pressing the electric door bell push just to the right (when standing outside) of Amber House's front door] and disturbing other guests - if you need us and we're not visible, please instead phone us on 539 0605 from the phone in your bedroom or the outside phone to the right of the front door. In an Emergency, call 111 and ask for Ambulance, Coastguard, Fire or Police (FREE call from every phone in New Zealand). In a lesser situation, call the local number 539 0605. We'll try and respect your privacy and will try and come into your rooms to empty the waste-paper basket, etc while you are out during the day - unless, of course, you tell us not to. It would be a good idea to hang your towels out to dry on the rotary drying frame in the back garden first thing in the morning as the sunny Nelson climate usually ensures they'll be bone dry within a couple of hours. [Less environmental stress than switching the heated towel rail on, eh? Kiwis value their "clean and green" image so we also ask that you turn off your lights, TV, stereo and airconditioning unit or heater when you go out. We'll probably take both towels and your washing back to your room if you forget...Ask us for beach towels if that's where you're going. We don't usually turn down beds unless you are physically handicapped and will change the bed linen every 3 or 4 days. If you do have an accident and need bed linen changing earlier, don't hesitate to say! We don't allow guests to use our front loading automatic washing machine as the various dials and buttons can be complicated to explain to guests and they would not be covered by our insurance. If you do need more than just a few items washed with our own load of laundry, we charge similar prices to a service wash in a launderette: $8 per washing machine load and that price includes washing powder. You'll need to hang your items on the rotary washing line and take them down again yourself unless you bribe us with winsome words and pleasing smiles or recipes (grin). We charge $12 per hour (or part) of dryer time if you need to be wasteful and use our electric dryer rather than the rotary clothes line. The nearest self-service laundromat is 10 minutes drive away at 147 Toi Toi Street and is open every day from 07:00 to 21:00. There is another one twice as far away at 561b Main Rd, Stoke, Nelson that opens earlier at 05:00 and closes later at 23:00. They both charge the same as us for using a (larger) dryer, $12 per hour (in 15 minute increments) and a small load costs $4 excluding washing powder. We keep the biscuit jar well stocked in the guests' dining room so just help yourself. In summer you can also pick your own strawberries and cherry tomatoes in the back garden on the way back from bringing in your towels or washing... We don't do ironing unless you're going to a wedding or special occasion ($20 per hour or part) but can provide you with a steam iron and board and mending materials. "...The real plus on the service side, is that you will be staying with hosts who really know their neighborhood and can give you the best independent advice about places to eat, shop and visit, unlike hotel staff who don't always live locally and don't know about these things or perhaps get some kind of kick-back for referrals. Wouldn't it be great having your own local source of up-to-the-minute insider information about what's going on? Your hosts can give you useful nuggets of information, such as the many delightful specialty shops...(and) help you make the most of your trip, when time is at a premium. We would rather be modest and let our Guest Book speak for that aspect. We would like to close by mentioning our beds and our breakfasts. Our beds are comfortable and will ensure you get a good night's sleep. All of our bedrooms except the Green Room have orthopaedic mattresses so you should ensure that you set the alarm clock radio if you have an early start. Gold, Blue and Rose Room guests should also not forget to tell us the previous afternoon or early evening what they would like cooked the next morning since, within reason, we'll serve whatever they fancy for breakfast. What is a bed and breakfast in Canada? What rules apply? Clearly, the simplest and best way to annoy your hosts is to breach their published policies, but there are other ways to quickly achieve the same result. Most of the things that annoy hosts are simple discourtesies and thoughtlessness and can be avoided by considering things from your hosts' point of view and that of fellow guests. Most guests choose to stay in B&B's on the basis that they should be able to avoid the sort of anti-social behaviour that plagues some Hotels and Motels when rowdy late night revellers return. Try and close doors silently and walk quietly - especially after ten at night and before seven thirty in the morning. Most hosts price their rooms keenly and have not allowed in their budget for air conditioners, lights and heaters to be left on when guests are out for the day (or evening). How much effort does it really take to flick a switch? At Amber House, the powerful mode on our Daikin heat pumps will heat or cool a room more than 10 degrees Celsius from ambient in less than 180 seconds, so can you really environmentally justify leaving the unit running when you go out and lock your room? Probably the quickest way to annoy the family at Amber House is to forget to place your breakfast order until late at night, then specify some unusual ingredients not commonly found in the larder or refrigerator as the major components of your breakfast, demand that this meal be served earlier than usual, don't appear the following morning at the unusually early time you specified, shuffle to the table without an explanation or apology for your lateness and then complain that some parts of the meal cooked especially for you are cold and/or overcooked. There is a small digital safe in each guest room at Amber House. Each safe is of identical construction and is bolted to the fabric of the building. 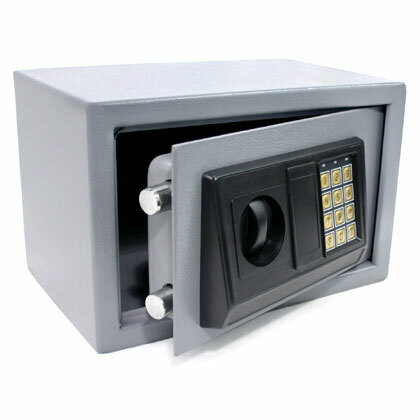 The internal dimensions of each safe are approximately: 300mm wide x 230mm high x 200mm deep (or approximately: 12" wide x 9" high x 8" deep). Once you have set your combination and closed the safe, we can not open it for you if you forget the combination you set! If you lock yourself out, we will have to call an expert to open the safe and the minimum call out fee during normal working hours (Monday to Friday, 9am to 4.30pm) is $80. Outside of those hours, it may be impossible to find an expert to open the safe at all or an out-of-hours charge of $160 may be payable! before we return your cash bond of $80. If you can not open the safe before you leave because you have forgotten the combination you set, then I'm afraid your cash bond is obviously forfeit. After you have paid the $80 emergency opening deposit or bond, one of us will open the safe for you and leave you so that you can set your own combination in private. 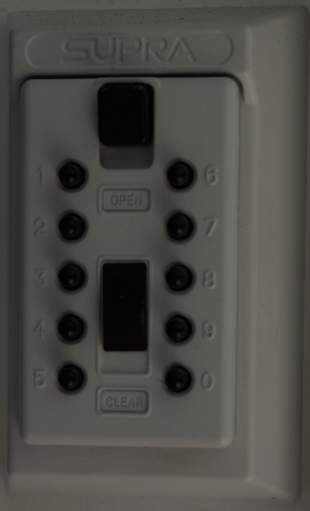 Choose your own door combination code. You can choose any number that has more than 2 digits but less than 9 digits. That means you can choose any number in the range 000 to 99999999 as your own private combination. MEMORISE THIS COMBINATION! if you forget it your cash bond is forfeit! Locate a red button 4mm in diameter that protrudes from the inside of the back of the open door. It is on the vertical edge of the back of the door near the hinge, about 50mm (about 2") up from the lower door edge. Turn the rotary knob at the front of the door clockwise 90 degrees (If the door combination is entered incorrectly 3 times consecutively, there is a compulsory wait of 20 seconds. If another incorrect combination is selected, then there is an enforced delay of 5 minutes before access can be attempted again. 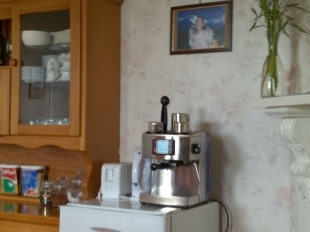 In the guests' dining room there is a Lavazza Minù coffee capsule machine from Italy. 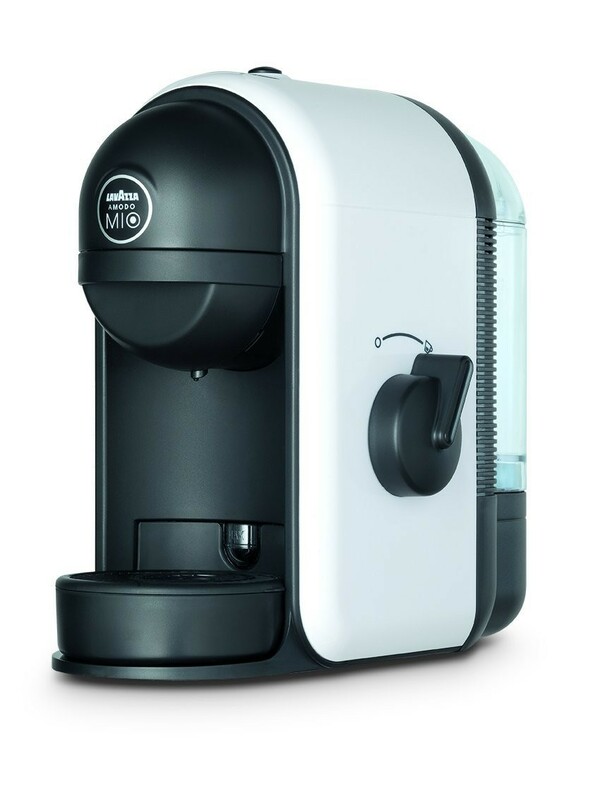 Here is a link to the machine-specific instructions for using this Lavazza Minù to make ESPRESSO or SHORT BLACK (a concentrated, full bodied coffee with a stable layer of cream on top - known as "crema"), LONG BLACK, double espresso MACCHIATO, AMERICANO, CAFFE LATTE, CAPPUCCINO, CAFFE MOCHA or CON PANNA (a variation on the original Vienna coffee, this is made up of an espresso topped with lightly whipped cream - it can also be dusted with cinnamon or drinking chocolate). 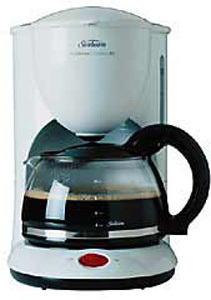 We also have available, if you prefer, a Sunbeam Aroma 10 for brewing filter coffee. Here is a link to the machine-specific instructions for using this Sunbeam 10. Our guests that have booked our Balcony Suite, Gold, Blue or Rose Room at Amber House can avail of a FREE COOKED BREAKFAST. We don't have a set breakfast menu - guests just need to tell Mila exactly what they wish to eat and how they'd like it cooked the afternoon before. Mila knows Irish, Italian, Vizayan, Fukien and a little Spanish, Swiss and Thai cuisine but is eager and interested to learn new dishes... Guests also need to agree the time between 07:58hrs and 09:20hrs that their breakfast be served hot and, in the case of the Balcony Suite, whether they wish their breakfast served in the dining room downstairs or brought up to their own private and sheltered balcony. Balcony Suite, Gold, Blue and Rose Room guests may also help themselves freely to FRUIT (depending on season we may have spray-free apples, oranges, pears, plums, cherries, grapes, strawberries, kiwi fruit and bananas), walnuts (we've the oldest English Walnut tree in the South Island at the back of our plot) any time. Guests that have not booked our Balcony Suite, Blue, Gold, Rose or Green Room may avail of an uncooked, help-yourself breakfast for an additional $8.00 per breakfast or a separate cooked breakfast and fruit upon payment of an additional $17.00 per breakfast. Green Room guests may upgrade to a cooked breakfast and fruit upon payment of an additional $9.00 per breakfast. All guests may help themselves freely to ANZAC biscuits, coffee, Milo and tea (perhaps organic Castlereigh, Darjeeling, Camomile, Lemon & Ginger, cranberry, raspberry & elderflower or caffeine-free herbal). Milk and yoghurt are kept on the first shelf of the glass fronted 'fridge in the dining room; butters and non-butters on the second shelf. Fruit juices (typically orange and apple but sometimes pineapple or boysenberry) are on the third shelf. Also on the third shelf is spring water in flagons for you to help yourself at any time. Local Seifried wines and bubbly are stored on the lower shelves and are available to purchase. On the opposite side to the tall, glass-fronted fridge is a normal-sized, domestic refrigerator that guests can use to store their own comestibles. There is a toaster and an electric hot water jug on top with a supply of spring water. Last thing at night, we also place a bread bin there with white and brown bread. All guests (except those who are paying the Overflow/"Our Choice" tariffs) can help themselves between 05:00hrs and 10:20hrs in the morning to breakfast ingredients (a choice of six to fill your bowl from cereals like ricepops, cornflakes, Weetbix, etc and two different mueslis), honeys, Rose's Lime Marmalade, Rose's English Breakfast Marmalade, Rose's Sweet Orange Marmalade, Rose's Ginger Marmalade, butters (dairy and peanut), chutneys, Marmite and Vegemite and eat and drink their own food and beverages there in Amber House's guest dining room any time. (Cutlery is in the top drawer of the dresser and crockery may be taken from the right hand, glass fronted cupboard of the dresser in the dining room). 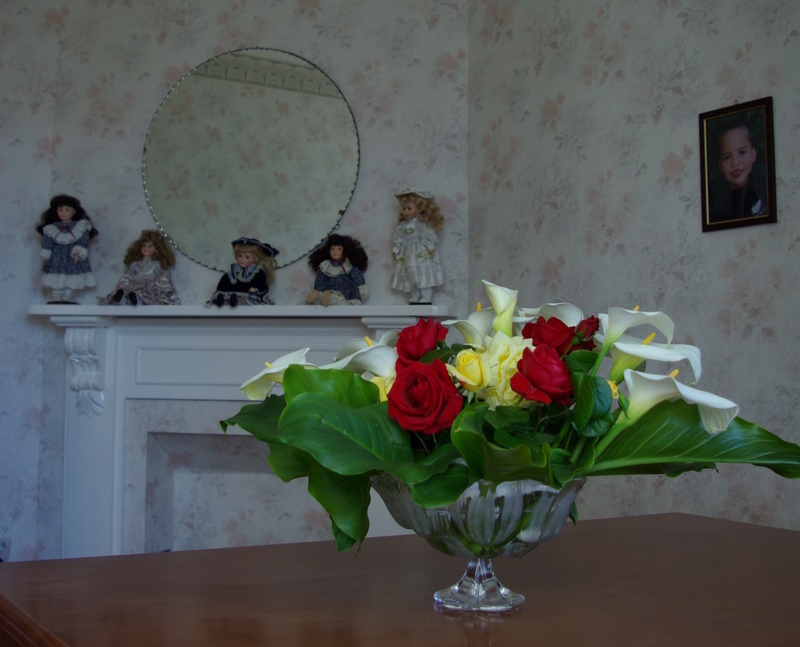 B&B's in New Zealand do not have desk clerks on duty round-the-clock to await your arrival, so it is vital that the family knows what time to expect you. We have daily family affairs to attend to, but will have re-arranged our schedule to accommodate your mutually agreed check-in time - so your arrival time is extremely important! If this time changes either way by 30 minutes, please notify us as soon as you are aware of the change. Otherwise, we probably won't be at home to greet you. PLEASE DO NOT TRY TO REPLACE THE empty LID ON THE VAULT! Guests who have paid either the Blue or Gold Room or Balcony Suite tariffs are able to use our computer or their own on our wireless internet network free of charge during the whole of their stay at Amber House. Although we have an optical fibre connection with the fastest upload speeds in Nelson, this 802.11/b/g Wi-Fi network is not "Broadband" since in New Zealand we are charged for every MB we download in excess of our monthly allowance. (As examples, in July 2017, Orcon charged $209 +gst per month for 60GB data, $229 +gst per month for 100GB data and a whopping $449 +gst per month for 1000GB or 1TB of data; Vodafone NZ charged $299 +gst per month for 500GB data. For this reason, we would be grateful if you only use our Wi-Fi connection for e-mail and websurfing rather than downloading music, photographs or data-allowance-gobbling video! Guests who have paid the Rose Room tariff get three 500MB ($15 face value) vouchers for internet useage included in their daily room tariff. Guests who have paid the Green Room tariff get one 500MB ($5 face value) voucher for internet useage included in their daily room tariff. Other guests may buy access vouchers - either at the time they make their booking or after arrival. We charge a discounted cash price of $4 for one 500MB ($5 face value) voucher, $7 cash for 1000MB ($10 face value) of vouchers bought at the same time, $13 cash for 2000MB ($20 face value) worth of vouchers bought at the same time, and $3 cash for each 500MB ($5 face value) voucher if more than four vouchers are bought at the same time. Vouchers last for a year and only expire when their data has been used. Enter the 8 character access code printed on your voucher. Note: Make sure your device is set to automatically obtain IP and DNS settings for the wireless connection. What is a megabyte (MB)? A megabyte is 1,048,576 bytes. A byte is a way of measuring digital data. Just as you can measure milk or petrol in litres, distance in metres or kilometres, you can measure digital data in bytes or megabytes. Every English character can be stored in one byte. So a megabyte (MB) is the equivalent of 1,048,576 English characters. Images, video and audio files require lots of bytes to store and transfer. On average people who have recently purchased credit online from the Zenbu network (with over 1,100 Wi-Fi hotspots in New Zealand, Australia and around the world, and 25 million connections every year) have used 21.81 MB each hour they were connected (downloaded 16.64 MB and uploaded 5.17 MB). So, on average, it costs people $2.18 per hour to use Zenbu Wi-Fi. Of course this can vary widely depending on what the person does (watching or downloading movies would be much more expensive, sending only textual emails even cheaper) but these figures are the averages from the real users who have recently connected at Zenbu wireless zones. Basically, if you do not download large files (don't watch or download videos, update software or leave file sharing software running) and just use websites like Facebook, Trade Me, NZ Herald, Google, your email, etc, normally you should find the connection to be cheap and fast. We recommend disabling automatic software updates as the updates are often large, not generally essential and downloading them can use a lot of data quickly. If you're using Windows 10, set our wireless network called "Zenbu.net.nz - AMBER HOUSE" to be a "metered connection". You can also save a lot of bandwidth by turning off images and plugins like Flash® (turning off plugins is a good idea for security too!). Many websites use images and plugins mostly for displaying ads and it is generally the transfer of such files rather than the basic website itself that uses the most bandwidth. You should be able to easily display any images you actually want to see on demand from within your web browser. There is no time limit when you are connected at a Zenbu wireless zone. Here are a few examples of different file sizes that will hopefully give you a better idea because we know it's a bit difficult to imagine. This web page is about 100 kilobytes (KB), so you could load it about 10 times and just use 1 megabyte of data. 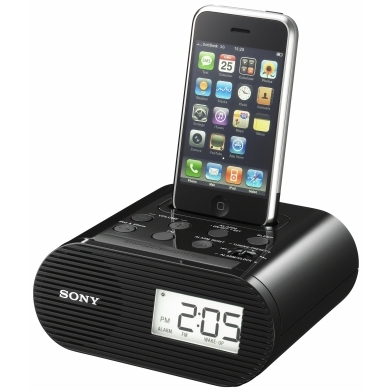 An MP3 (music) file is typically about 1 megabyte per minute of music. So a song which is 3 minutes long is usually about 3 megabytes in size. You can generally talk to someone using Skype or other VOIP software for about 3 minutes per megabyte of data (this will vary depending on the quality of the call and is an estimate applicable to voice only calls, not video calls which use a lot more data). Software running on your device may automatically send and receive data without you knowing. This will use your credit. Some things to check for include Windows/OSX and other automatic software updates (web browser, Skype, anti-virus, iTunes, Acrobat, Java, Flash, 'Apps' etc. are common), peer-to-peer software (eg. file sharing/Skype/Bittorrent), file synchronization software (iCloud, Dropbox, SkyDrive, Picasa Web Albums, Flickr etc), online games, spyware and viruses. You may want to ensure that non-essential software which automatically uses data is not running while you are connected to the internet at our wireless zones. Please be aware that all data sent and received will be debited from your account regardless of which service uses it. If you are concerned that something running on your computer is using data without you knowing and wanting it to, you can use tools such as Netlimiter or DU Meter to display all software that is accessing the internet. There are similar tools available for other operating systems and device types. Please be aware that there will be discrepancies in the amount of data used as measured by different network monitoring software. The amount of data that will be debited from your account is measured at the wireless router and all data (including protocol overhead etc) sent to or from the internet is included. Netlimiter seems to under-estimate and DU Meter seems to over-estimate when compared with the actual amount of data that is sent or received as measured at the router. Although the measurements will vary, these tools should help you easily determine which applications are using data. There is a USB slot on the right hand edge of each of our Samsung High Definition LCD TV's with Nicam Stereo and they should recognise MP3 music files and your photograph or video files and offer you the option to play them if a USB stick is inserted while the TV is switched on. The maximum supported JPEG resolution is 15,360 X 8,640 pixels with zoom capability. 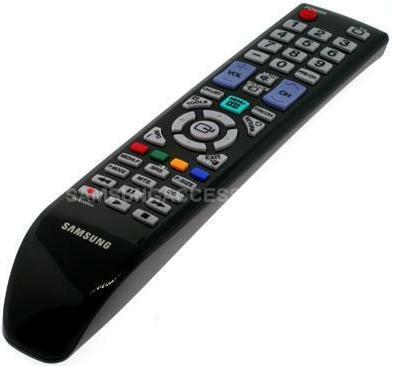 Further information is to be found on pages 22 to 26 of the Samsung LA32C450E1MXRD TV manual... These capabilities mean that, provided you have the appropriate USB terminated lead for your digital still or video camera, you will be able to play back at Amber House. Switch the TV off before removing your USB stick or camera to minimise the risk of file corruption. Where the room or suite features a guest computer, it may be connected to the Samsung TV there in the room or suite to function as a very large LCD monitor with PIP capability (PIP = Picture in Picture: where a TV transmission is displayed in a small window in one corner of the main screen while the main screen displays the source you selected - eg computer output). There is a separate remote controller for the satellite receiver. 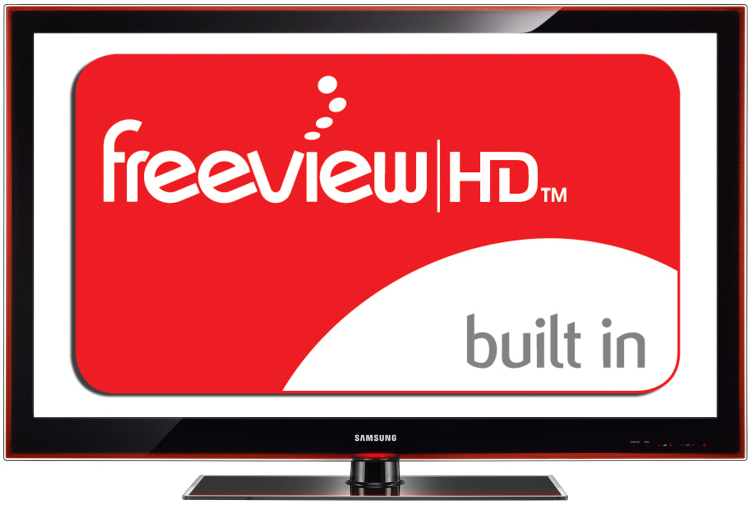 After you have switched on the TV, if you switch down the rocker switch at the left-hand rear of the satellite receiver, the TV display will switch to Freeview satellite reception automatically (if it doesn't, then toggle the "SOURCE" button at top right of the Samsung TV remote controller until the screen overlay shows "AV Satellite STB" as opposed to "TV" or "PC" or "DVD"). The maximum volume level of each Samsung TV has been set to a level which should not disturb other guests. For the hard of hearing, there are subtitles available for most local programming. 98% of prime-time programmes on TV ONE and TV2 are captioned; over 250 hours of New Zealand television go to air with captions every week, including several children's programmes; you can get captions for a selection of programmes on TV3. You can connect your headphones to the headphones output on your set. While the headphones are connected, the sound from the built-in speakers will be disabled (Headphone volume and TV volume are adjusted separately). When you make your reservation on-line directly with us, you will be given the opportunity to add in bicycle hire at a price of $30 per day per adult. If you'd like to hire a bike casually just for the day after you've arrive, we charge $35 per day per adult or child. Guests who have paid the Balcony Suite tariff are able to use our bikes free of charge during the whole of their stay at Amber House. 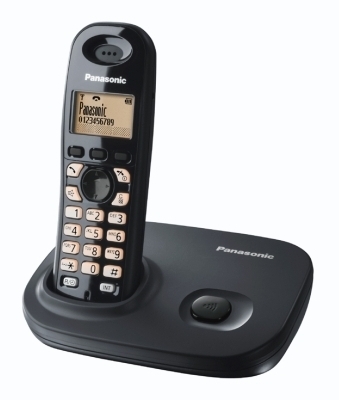 All of the bedrooms at Amber House that are usually used to accommodate guests have Panasonic direct dial cordless phones. Naturally, there is no charge for calls to freephone numbers (beginning 0800 or 0508). 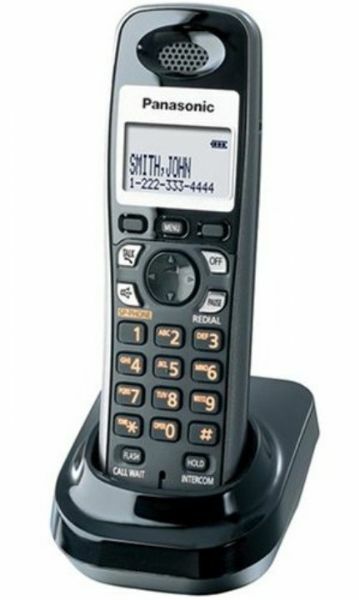 However, since there is only one outside line that guests share, it would be courteous and considerate if you kept your freephone calls very short. We also waive the charges for short national calls within New Zealand to Land (or fixed) lines of less than 89 seconds duration. Where your New Zealand landline call (whether national or local) exceeds 89 seconds, or you call a New Zealand mobile (starting 02), you will be charged 0.35 cents for every second with all call charges rounded UP to the nearest ten cents. 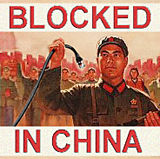 Nigeria (landlines & mobiles), Norway (landlines & mobiles), Peru, Poland (landlines & mobiles), Portugal (landlines & mobiles), Puerto Rico (landlines & mobiles), Romania, Russia, San Marino, Singapore (landlines & mobiles), Slovakia, Slovenia, South Africa, South Korea, Spain (landlines & mobiles), Sweden (landlines & mobiles), Switzerland, Taiwan, Thailand (landlines & mobiles), Turkey, United Kingdom (landlines & mobiles), United States (landlines & mobiles), US Virgin Islands (landlines & mobiles), Vatican City (landlines & mobiles) and Venezuela. Please contact us before you make an expensive International call and we will tell you our exact rates for other calls (which begin at 0.40 cents for every second or part with all call charges rounded up to the nearest ten cents). New Zealand Mobile numbers begin with 02 (as do calls for Scott Base in the Ross Dependency of Antarctica) and it's typically cheaper to call a cellular phone in Guam than a New Zealand mobile from New Zealand! Unfortunately, the former monoply Telecom New Zealand (now renamed to "Spark"), no longer offers a "collect" or "transfer charge" or "reverse charge" call service and both operator and directory enquiries calls are also charged for!